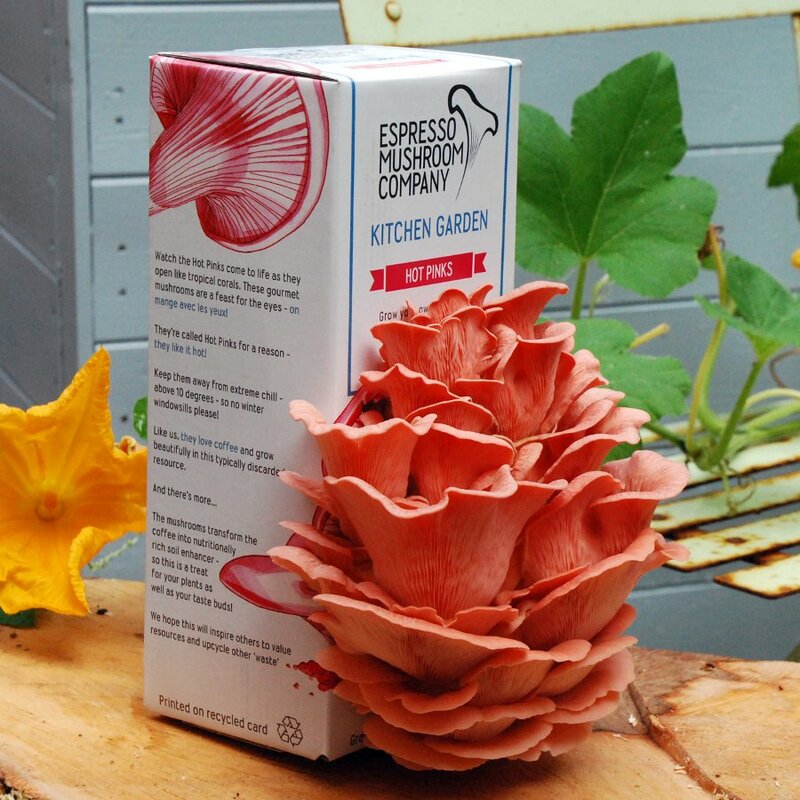 You don’t need green fingers to grow your very own exotic Hot Pink mushroom bouquet, just use this wonderful Espresso Mushroom Kitchen Garden Kit. 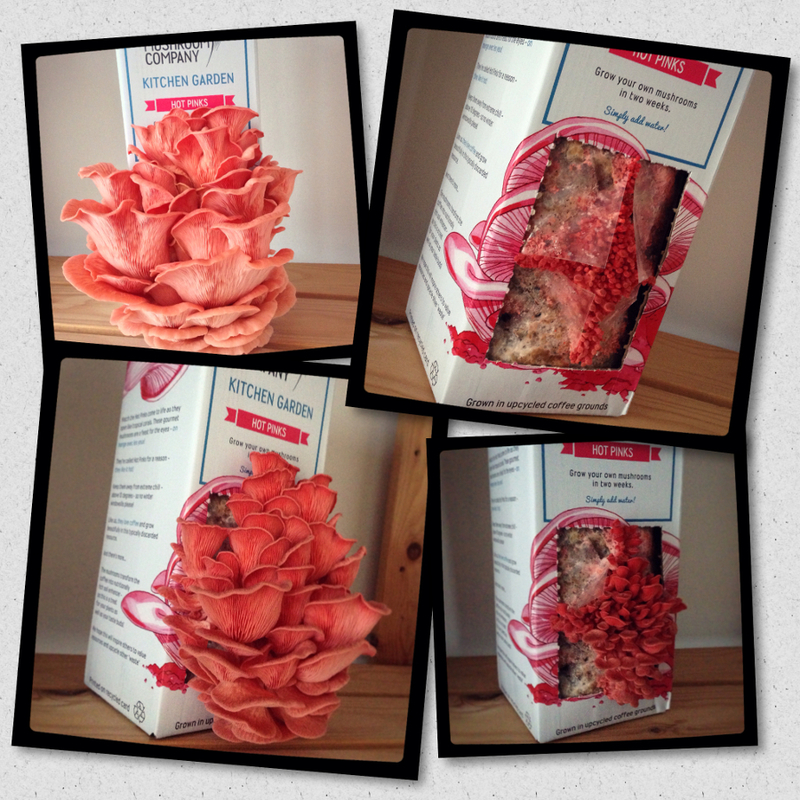 Bouquets of Oyster mushrooms are ready to erupt out of this box: grown on the coffee from one hundred espressos! This kit is an excellent luxury for you and the whole family, and makes an ideal gift for foodies and gardeners alike. The kit is easy to use, trustworthy and holds everything you need. Just find the perfect spot, (They’re called Hot Pinks for a reason – they like the heat! Keep them away from extreme cold – above 10 degrees centigrade. 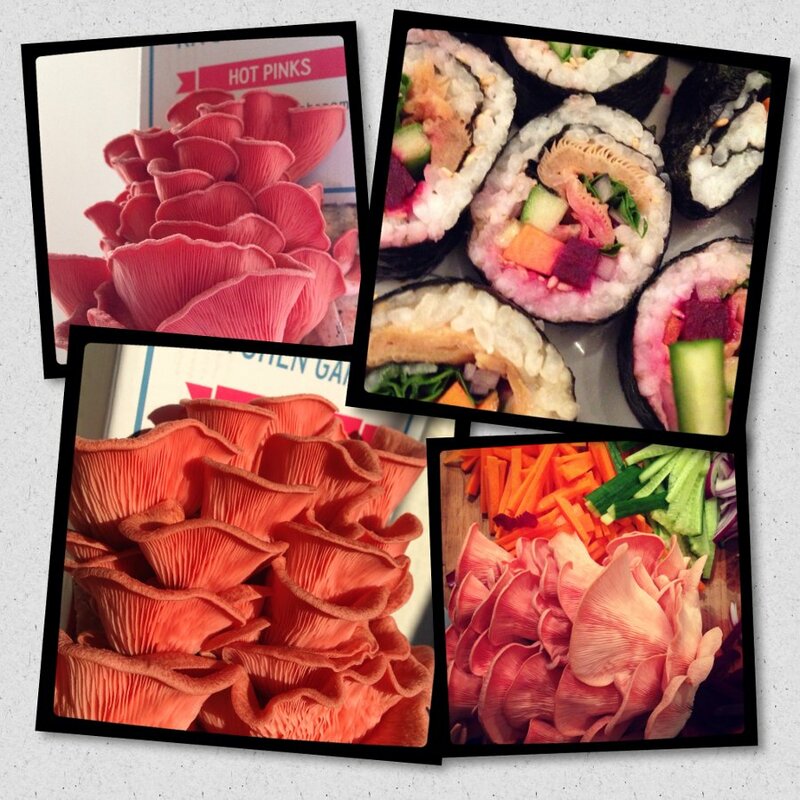 Follow the four simple steps and produce your home-grown tasty Hot Pink Oyster mushrooms around two weeks later. The mushrooms love the coffee and grow attractively in this typically-discarded resource, and don’t worry as don't taste of coffee, and don’t contain any caffeine. Please note: we strongly recommend opening the Kitchen Garden within 1 month of purchase. 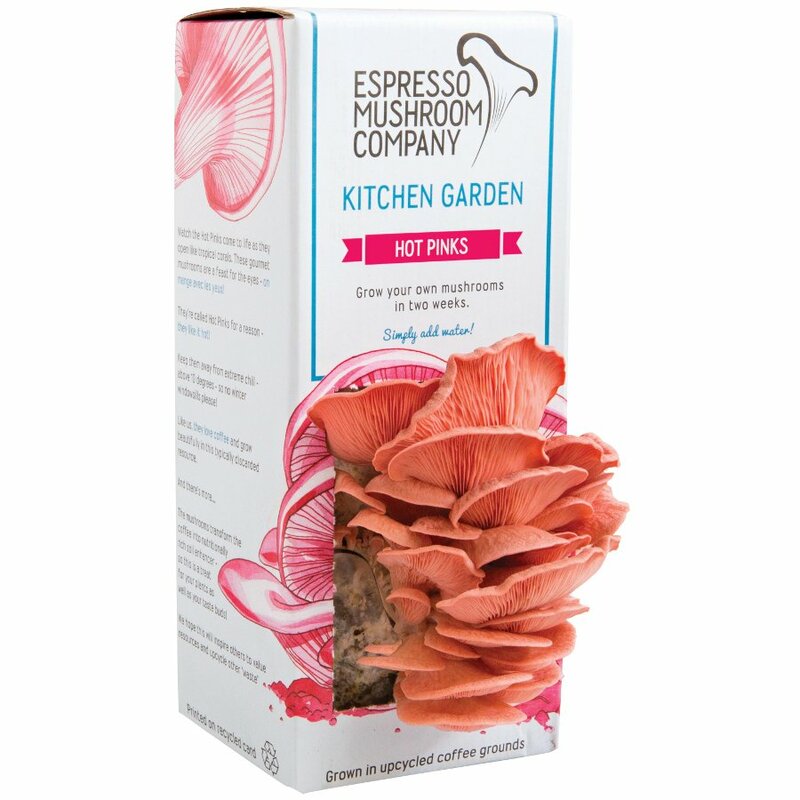 The Espresso Mushroom Company Hot Pink Grow Your Own Kitchen Garden product ethics are indicated below. To learn more about these product ethics and to see related products, follow the links below. 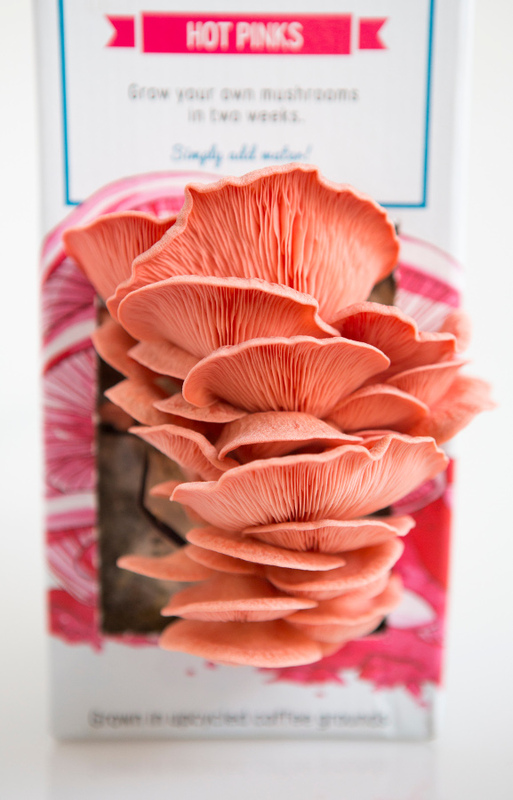 These are just as good as the oyster mushrooms, pretty reliable (I sometimes get two crops, sometimes just one), and add colour to meals. They're a fun present too. 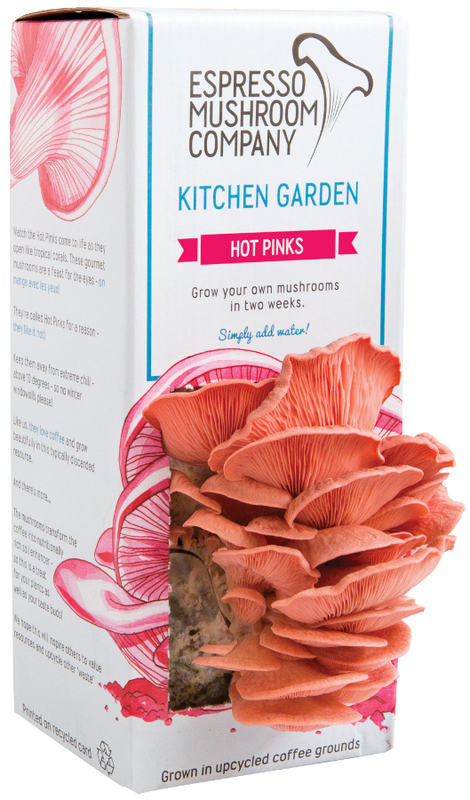 There are currently no questions to display about Espresso Mushroom Company Hot Pink Grow Your Own Kitchen Garden. 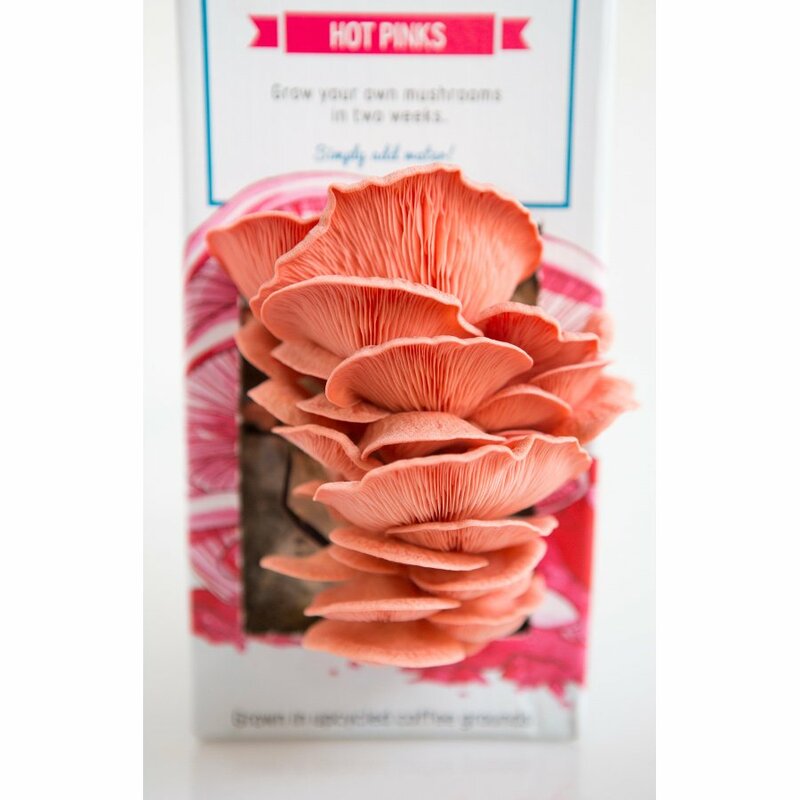 Espresso Mushroom Company is a group of coffee-drinking food lovers who've taken the next step to bring you the ultimate in fresh, home grown and sustainable produce - fantastic Oyster Mushrooms grown on used coffee grounds! 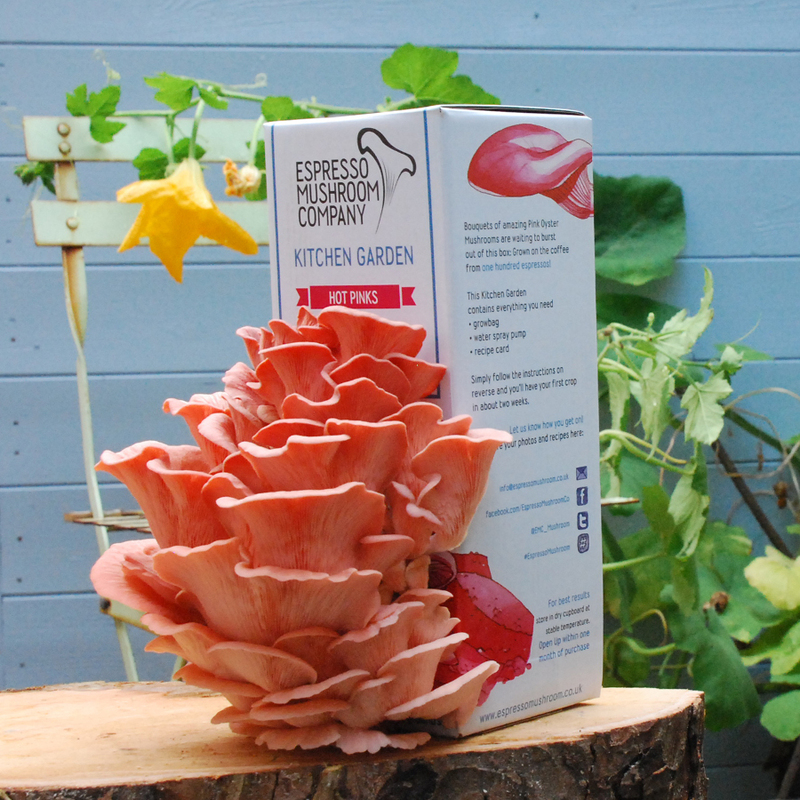 Recognised by The Grocer as 'one of the five most innovative enterprises using food waste', the Espresso Mushroom Company is based in Brighton where they collect coffee grounds from local cafes then grow and supply mushrooms to some of Brighton's finest restaurants.